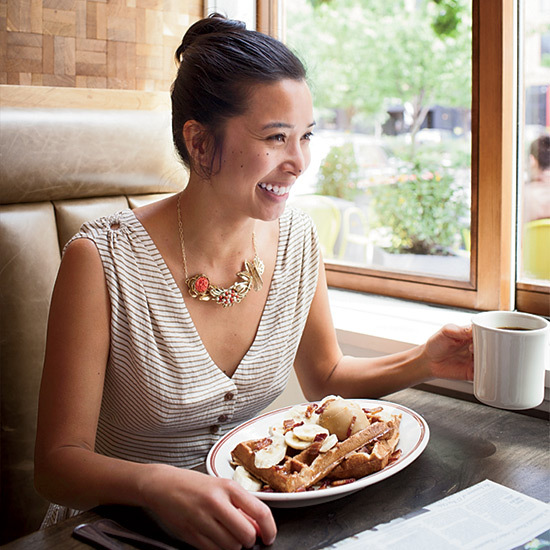 You know how a multicourse meal can be like a slideshow, and one image stands out? This dish is it. 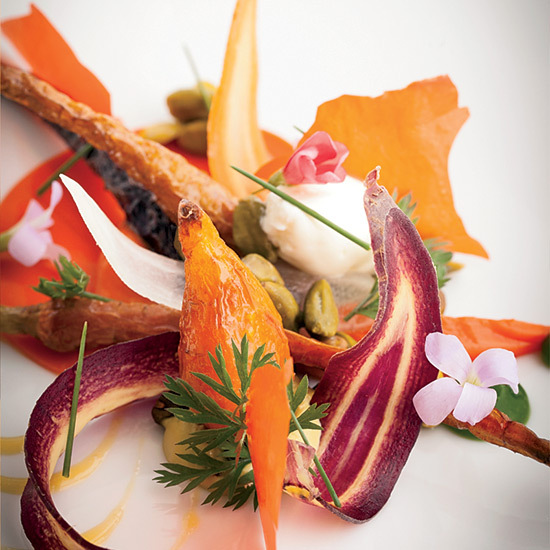 Curtis Duffy uses every part of the carrot, even the tops, and braises pistachios to bring out this crazy fattiness. It's insanely beautiful and even better to eat. grace-restaurant.com. 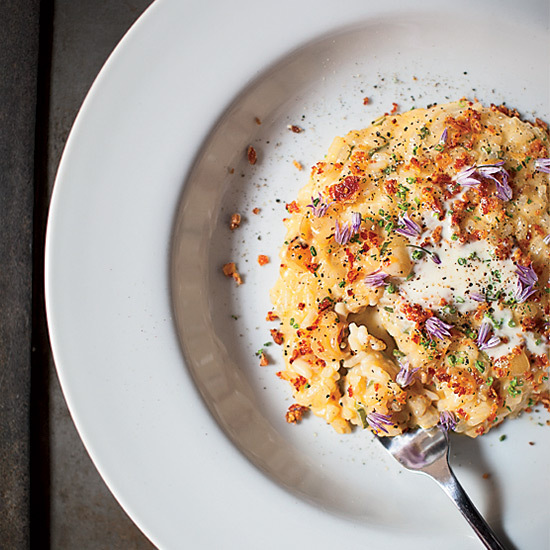 Everyone is talking about Fat Rice like it's the second coming of a hipster deity. 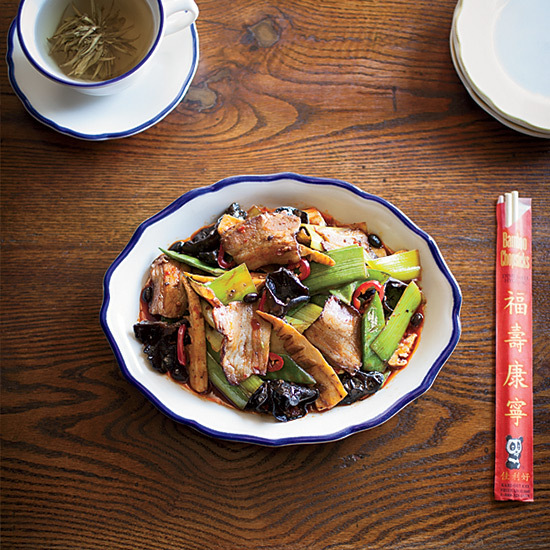 The restaurant focuses on the Macau region of China, but this recipe riffs on a Sichuan classic, with house-smoked bacon, wood ear mushrooms and five-spice powder. eatfatrice.com. We don't see much Creole or Cajun in Chicago, so to have such a good New Orleans po'boy here is something. 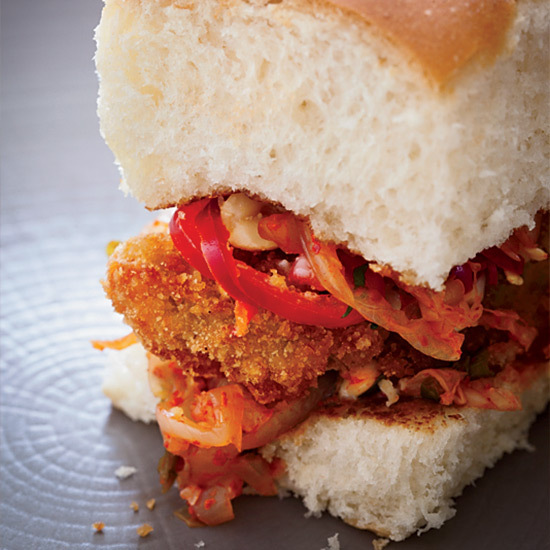 To have it tweaked out with kimchi and peanuts and turned into cute little sliders is killer. I could probably pound 20 of them and not realize it. gtoyster.com. A lot of people do ceviche; John Manion makes his rise above the rest with touches like homemade saltines. And his mojo, which uses tons of roasted garlic, guajillos, charred tomatoes, pineapple and a trifecta of fish sauce, Sriracha and mezcal. lasirenachicago.com. Maple—the liquid essence of a tree—is easily my favorite flavor. So using it in a glaze makes for a pretty legit doughnut. 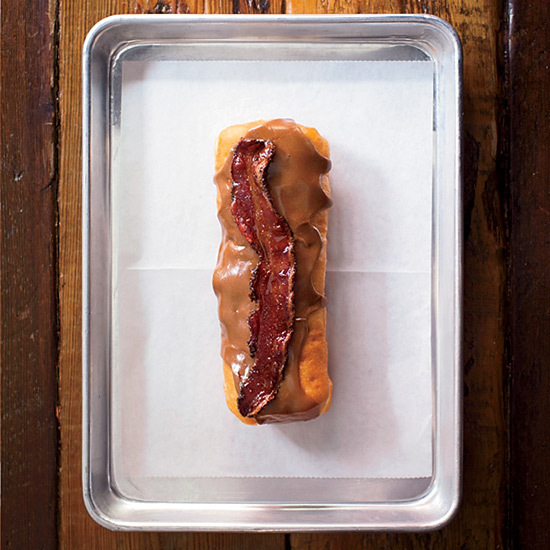 They could have just thrown some bacon bits on top, but they went all out on a thick, perfectly crispy strip. Dangerous. goglazed.com. My favorite spot in town; I even gave my two-year-old son the middle name Matthias because of chef Matthias Merges. 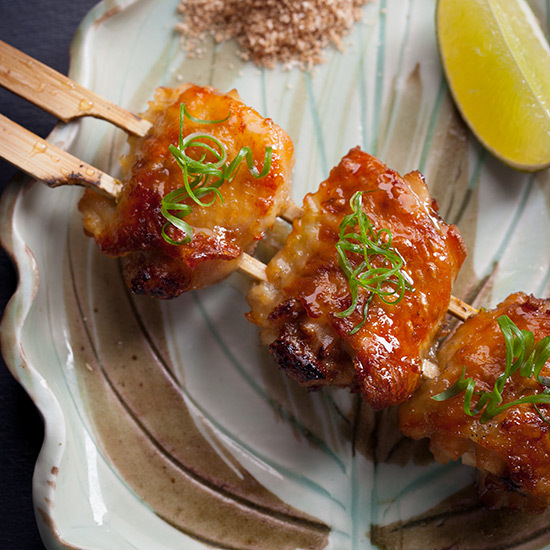 He makes street-food-style dishes like these skewered chicken wings grilled over Japanese charcoal, with lime-and-bonito salt alongside; you dip as you go, so it's salty and funky and tangy and delicious. Seeing Matthias make all those flavors and nuances come together is amazing. yusho-chicago.com. 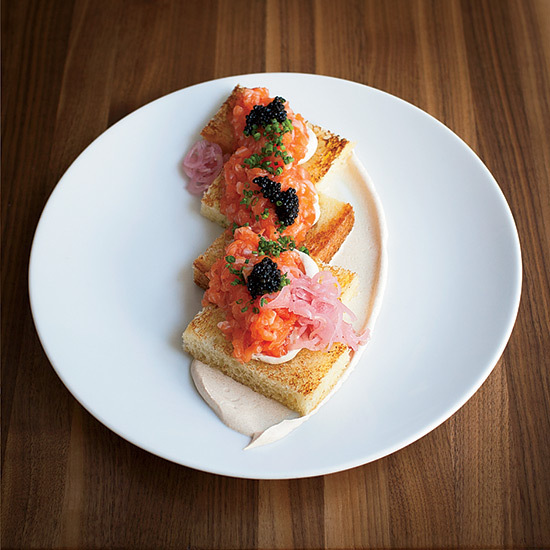 Chef Lee Wolen has shaken things up over at The Peninsula. He has the chops (he's cooked at Manhattan's Eleven Madison Park) but makes food that people understand. 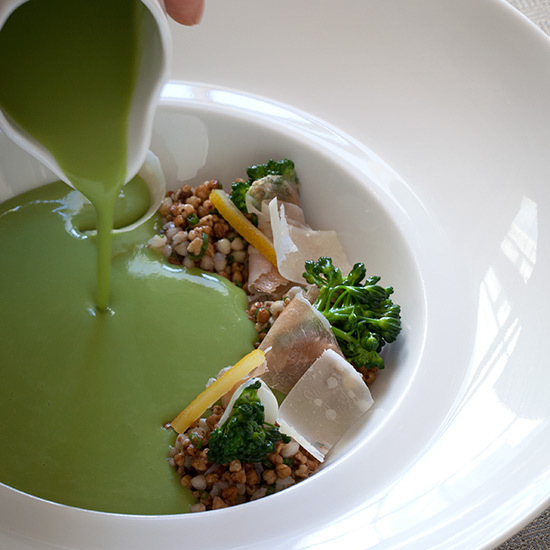 His broccoli soup is textbook, but he goes AWOL with the garnish, mixing dried and fried puffed buckwheat with tender cooked grains. peninsula.com/chicago. A classic fat-boy dish: waffles topped with bananas, maple syrup with bits of bacon floating in it and an ice cream–size scoop of peanut-butter butter. The only thing that would make these waffles more ridiculous would be to batter them and throw them in the deep fryer. 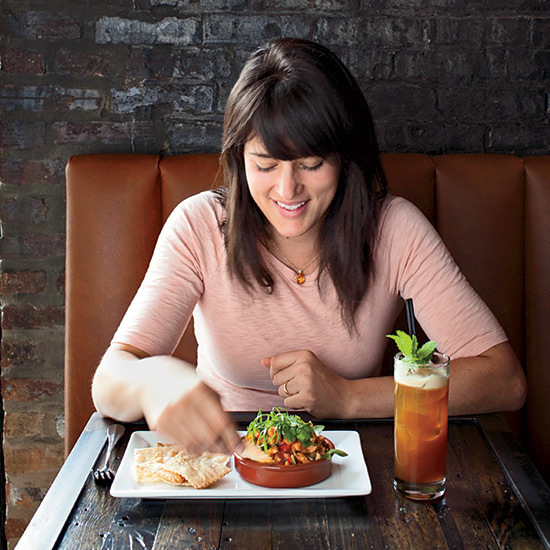 If Stephanie Izard (an F&W Best New Chef 2011) ever does that, I get a portion of the sales for the idea. littlegoatchicago.com. When I saw this dish—salmon with brown-butter crème fraîche— I immediately thought of rich, fatty lox with a schmear of cream cheese. But instead of a bagel, there's brioche, which is even better. Chef Pat Sheerin is a great guy, and his co-chef and brother, Mike (an F&W Best New Chef 2010), is super-creative. I love these two guys together. trenchermen.com. I've done avant-garde versions of this dish at Avenues and for the Graham Elliot opening menu. Now it has evolved, but in a classic way; I'm no longer trying to be goofy with Cheez-Its or using sous vide or tweezers. I make the dish with cheddar, crispy bacon and pearl onions. It's a simple, cheesy rice porridge, but it means a lot to me in terms of where I'm comfortable now. gebistro.com.